This bathroom is stripped to its basics with countertop sink and wall mounted faucet. Shower enclosure is accomplished by frosted glass panel with no door. 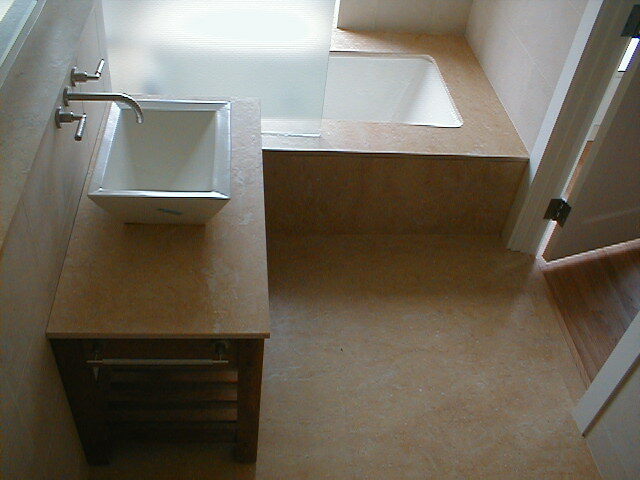 The bathtub is undermounted to stone slab surround.